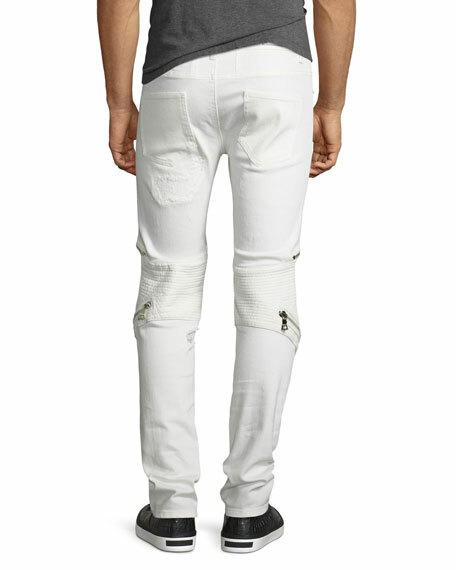 God's Masterful Children "Radburn" biker jeans in white denim with channel-stitched faux leather (polyurethane) patches. 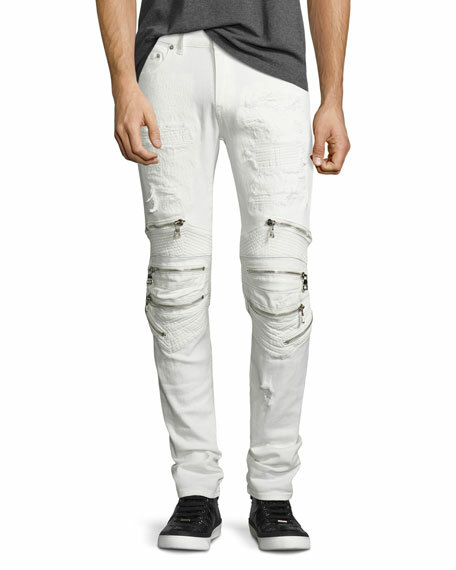 Zipper details and heavy distressing. Menswear brand God's Masterful Children sources its inspiration from traditional Italian motorcycle culture, defined by leather accents, utilitarian hardware, and skillful construction. Its denim-anchored collections provide a sartorial reinterpretation of the biker aesthetic. 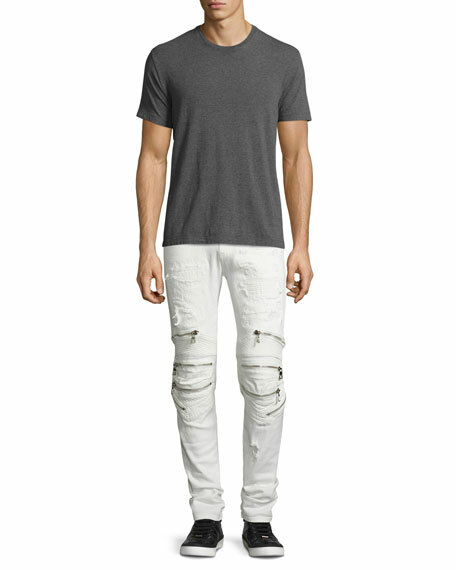 For in-store inquiries, use sku #2043613.